book blurb When Kate Wesley returned to Twinsburg, Ohio after a five year absence, she was content with her single life. She didn't need a man, she had her florist shop. At least she didn't until Mark Westfield shows up looking for his sister and her ex fiance, who jilted her five years previously, wants to pick up where they left off. 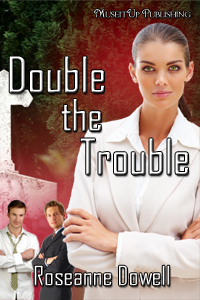 To make matters worse, she finds a dead body in the cemetery and the twin sister of the victim shows up.